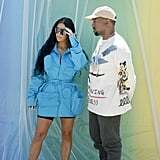 Kim Kardashian and Kanye West joined Travis Scott, Kylie Jenner, and Kylie's BFF Jordyn Woods in the front row at the Louis Vuitton menswear show in Paris. 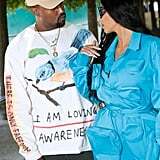 Even though Rihanna was there, standing by in straight-off-the-runway suiting from Virgil Abloh, it's safe to say Kim's electric minidress drew focus from the crowds. 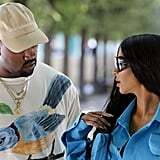 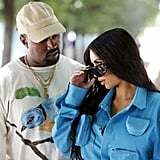 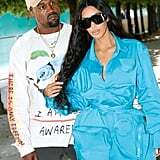 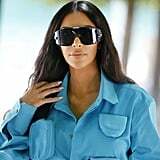 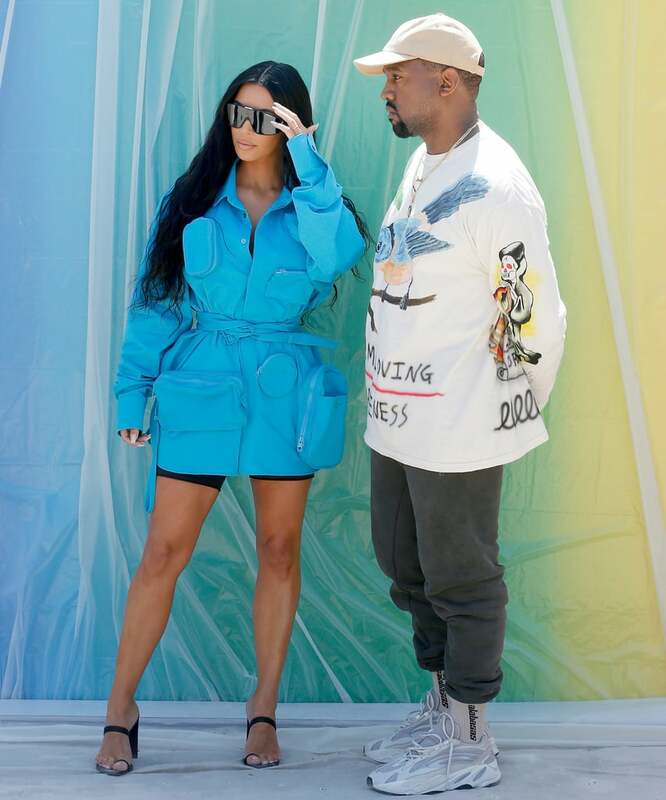 Kim's blue cargo number, likely a custom piece from the new Yeezy collection, was a stark contrast to her dark accessories: spandex biker shorts, Alpina shield sunglasses, and her cell phone, a treasured item. 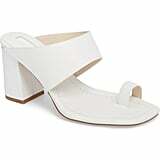 But while the mini provided structure, Kim's single toe loop sandals made us shaky just looking at them. 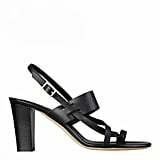 Of course, from PVC mules to thin, wraparound snakeskin stilettos, there's not much the star hasn't pulled off with confidence. 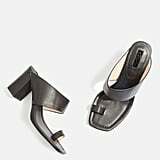 Ahead, get an all-angles view of her striking a pose with her husband ahead of the show, then pick up a pair of daring heels to make 'em all look twice.